We love tacos,You love tacos…so we’re gettin’ down on our first ever “Taco Tuesday” on June 21st from 6-9 pm at Studio 21 Tattoo Gallery ( 6020 W. Flamingo 89103 ) . Get a jump on it and take a peek at all the great summertime taco party illustrations to choose from. 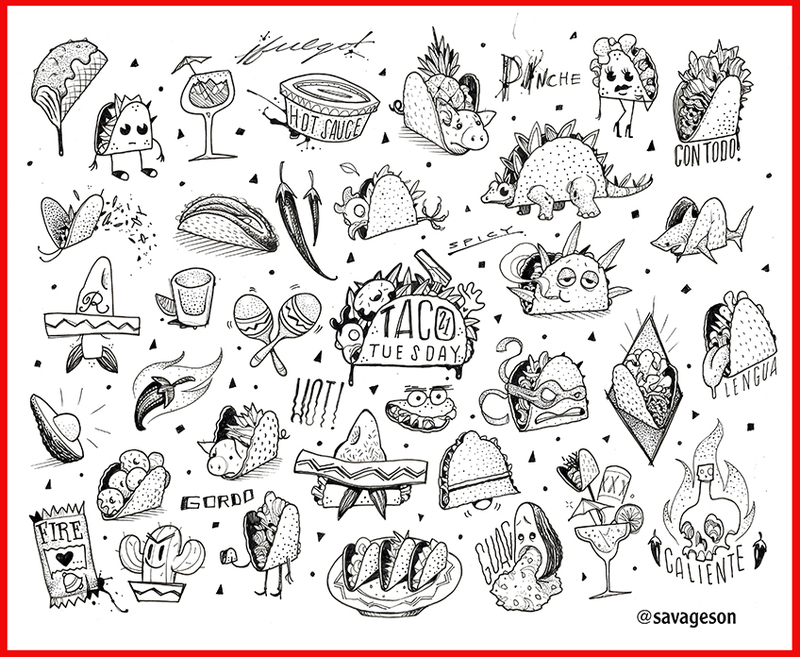 Pick your taco design from either flash sheet, maybe even get two designs. $50 each (no color, one size fits all ). 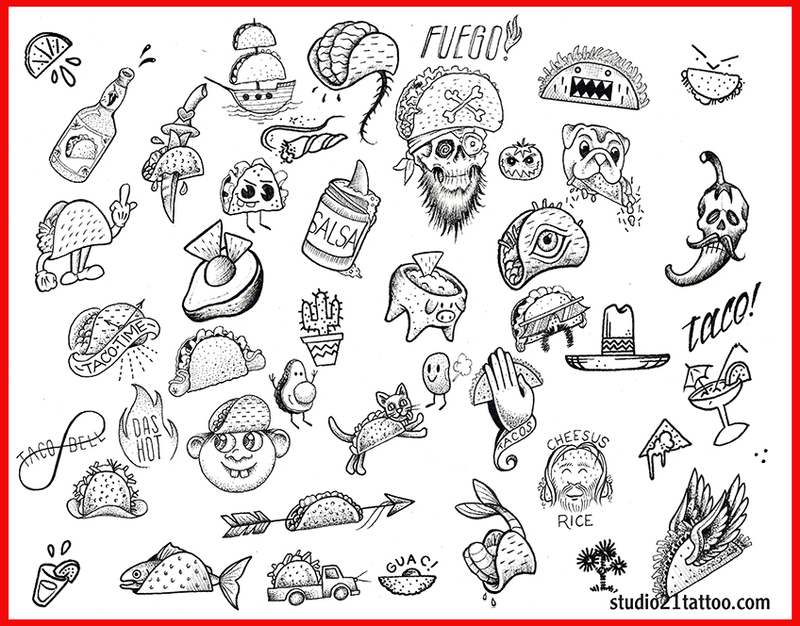 Studio 21 Tattoo Taco flash is created by our tattoo artists and only available right here at Studio 21 Tattoo Gallery on THIS date. Get a taco tattoo, get some street tacos, it’s that simple. Let’s PARTY! !